Photo courtesy of NBC News. Summary: The plaintiffs in the lawsuit against air bag maker, Takata, say their lawyers are asking for too much money. A Florida judge said on Wednesday that he was not comfortable with the amount of fees that the attorneys in the Takata air bags case were being awarded. According to Law360, U.S. District Judge Federico Moreno questioned the plaintiffs’ lawyers being paid 30% of the $702 million judgment. Takata is a Japanese air bag manufacturer, who filed for bankruptcy last summer. Their air bags were found in the majority of cars sold in the United States, and dozens of people sued them after their airbags exploded and caused death or injury. ABC News said that during these explosions, shrapnel spewed and created harm to passengers and drivers. Automobile-makers such as Honda and Nissan sued Takata to recoup the cost of replacing their faulty air bags, and they were rewarded $702 million. This class-action lawsuit also included car owners, and a group of them argued that their class counsel was asking for too much money. Law360 reported that current Honda owner Reyna Sarmiento and former Honda owner Kervin Walsh argued on Monday that the amount of work the attorneys performed did not match with what the lawyers were trying to get paid. On Wednesday, Judge Moreno seemed to agree. After compensating carmakers for their losses due to the replacements, legal fees would then be taken out of the remaining judgment and the rest would be divided amongst the millions of car owners. Media reports stated that drivers would be given around $500. Because of Takata’s current bankruptcy protections, automobile makers may face having to pay any additional costs of replacing the airbags. According to the Detroit Free Press, GM has filed a petition with the government to avoid the most recent recall, and that petition is still pending. The publication said that the financial stakes for GM were high. They stood to lose almost $1 billion if forced to recall 6.8 million full-size pickup trucks and SUVs made during the period of 2007 to 2011. This is the third Takata recall the Detroit-based company is dealing with. The Detroit Free Press added that as of January 5, carmakers have recalled 40.1 million inflators, but of those recalls, only 53% have been replaced, even though this puts the drivers and passengers at risk of death or injury. The faulty Takata airbags date back to cars made from 2001. In 2017, Takata made a $1 billion plea deal with the Department of Justice. They admitted that they reported incorrect airbag test results to carmakers and that they would set aside around $850 million to compensate the carmakers for replacing recalled airbags. According to NPR, the Takata airbag recall is the largest automotive recall in U.S. history. In January, they recalled an additional 3.3 million airbags, and Aisla Chang of NPR said, “The biggest auto recall in history is not over yet. In fact, it’s not even close to being done. 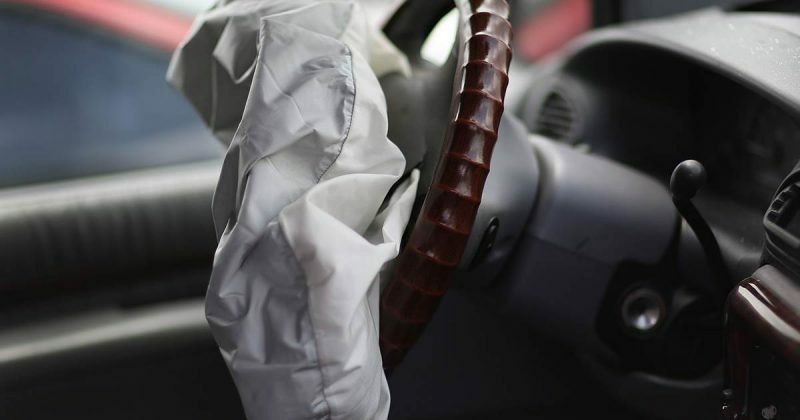 What do you think of Takata and the legal fees of the plaintiffs? Let us know in the comments below.